Taron is an a electrical engineer and an entrepreneur. The two other companies he has founded, Knoxlabs and Rodin.io, have manufacture 3M+ VR headsets and 1000+ immersive experiences for Fortune 500 companies with $10M in revenue. He will be leading ZmZm and overseeing hardware development. 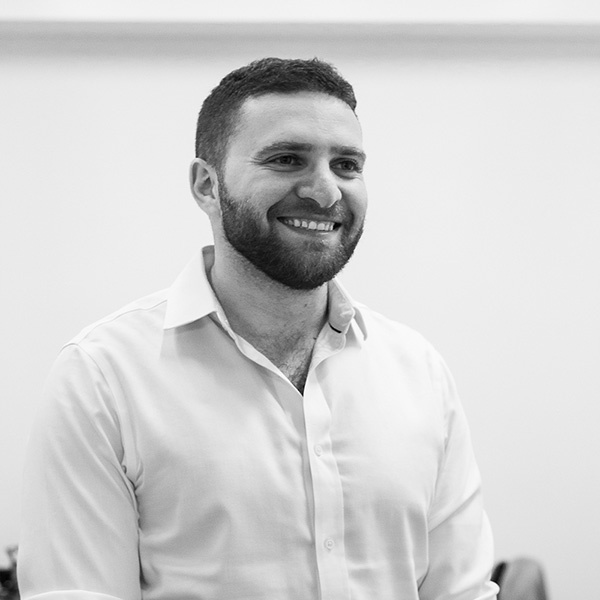 Alik has extensive experience in marketing analytics and turning operations data into actionable strategy. He will be serving as Chief of Business, where he will oversee sales strategy, partnerships, and operation. Ruben will be heading Customer Success at ZmZm. He will be in charge of spreading eco love and working closely with cities on integration and rider safety. Khatchadour is a content and marketing strategist. He is a specialist in immersive content, marketing and production for lifestyle brands and entertainment. He was previously the creative director for Knoxlabs and Rodin. He will be serving as Head of Creative and Marketing. Aram has a Ph.D. in software engineering with over a decade of experience in development and data analysis. He is responsible for developing webVR’s early core architecture and was previously CTO of Rodin. He will be overseeing development at ZmZm. Patrick has a broad background in team management, finance, and compliance. He will be serving as CFO at ZmZm.